In a nutshell: The Sony Bravia KDL-42W829 is a mid-range 42 inch TV with an attractive design. Picture quality isn't the best and audio is weak, but for good value family viewing with catch-up TV it offers excellent value for money. This year, Sony seems to be most interested in 4K TVs of size 55 inches or larger. Of course we'd all like one of those, but for those of us who live in the real world, what's more interesting is an affordable 42 inch TV. That would be the clumsily-named Sony Bravia KDL-42W829B. Despite its position in Sony's W8 series, the KDL-42W829 is almost the same TV as last year's 42W653A mid-range model. 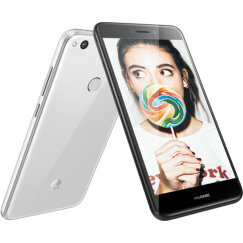 It has an airy and contemporary design, with a very narrow bezel surrounding the screen and an open-style chrome stand. An illuminated core situated below the screen adds subtle lighting effects (this can be switched off if desired.) The top half of the screen is very slim, but it bulges out at the back in the lower half, although that's largely invisible. Overall it's a pleasing, contemporary design. A conventional remote control is supplied with the TV and an optional One-Flick remote can be purchased as an extra, for use with Smart TV. 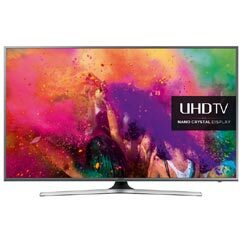 This year's W8 series consists of a confusing range of TVs in different sizes and with different specifications. This 42 inch model uses what we deduce to be an IPS panel, probably manufactured by LG (the 50 and 55 inch models use a different type of screen). As this is a mid-range model, it's missing out on Sony's Triluminos technology, instead using a conventional LED-backlit LCD panel. The panel has relatively wide viewing angles, confirming that it's an IPS screen, but as expected, contrast levels aren't as high as we'd like them to be. Native blacks are not as dark as Samsung's Series 6 televisions, and the lack of backlight dimming makes the dynamic range relatively poor. The TV is best viewed in a brightly lit room, as its problems become more obvious with the lights turned out. The responsiveness of the panel is pretty good, with an effective 400Hz reaction time, so there's little sign of ghosting when images move across the screen. As usual, Sony's X-Reality PRO processing engine does an excellent job of displaying input from a variety of sources, from upscaling standard definition broadcast material to displaying high quality Blu-Ray. To be fair, the picture quality is not worse than many other TVs at this price, and for typical family viewing during daytime, the shortcomings probably won't be apparent. In Game Mode, input lag is low, so this TV is an excellent choice for Playstation/Xbox gaming. 3D performance is better than average on this screen. The passive 3D system ensures flicker-free images, and there's little sign of crosstalk problems or other artifacts. Two pairs of 3D glasses are included with the TV, and additional pairs are cheap to buy. The audio quality of the W829B didn't wow us. The compact bass reflex speaker struggles to deliver immersive sound with just 8Wx2 power output. 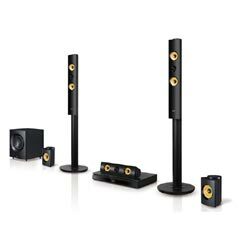 We'd strongly recommend adding in one of Sony's wireless subwoofers that are designed for use with their television range, or perhaps a soundbar for better results. The W8 series TVs come with integrated Wi-Fi and an ethernet connection, so they're easy to connect to the internet, giving you full access to Sony's Smart TV functions. These include Catch-up TV from the BBC iPlayer and Demand 5, YouTube, Twitter, Netflix and Amazon Instant. TweetView lets you watch what people are tweeting about the current programme - you don't need a Twitter account to use this. You can add an optional camera and microphone if you'd like to use your TV for Skype calls over the internet. We have no issues with the range of connectivity options available. As well as Wi-Fi and ethernet (including Wi-Fi Direct), there are 4 HDMI and 3 USB ports, ARC compatibility, plus a good range of legacy connections. Both Freeview HD and Freesat HD tuners are included, and the TV also has the benefit of NFC display mirroring with compatible smartphones. We've tentatively awarded the Sony 42W829 4 stars. 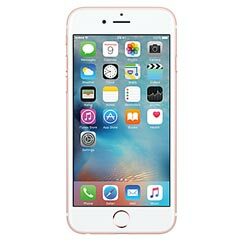 At the RRP of £700 it's over-priced, but at £600 it's good value and if the price falls as low as £500 it'll become an outstanding buy. 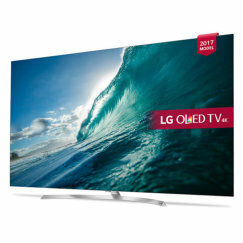 In its favour it offers an attractive design, a good-sized 42 inch screen, average picture quality (above average in 3D), low input lag, good Smart TV and excellent connectivity. It's a versatile TV for family viewing. 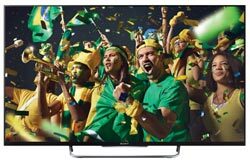 Alternatives include one of Samsung's mid-range Series 6 TVs, which outperform the Sony in terms of picture quality, although they have smaller 40 inch screens. How do we connect to Wi-Fi, also Freeview HD and Freesat HD? What is the best sound bar for use with kdl42w829b? I have hated this tv since it was installed. It does it's own thing regardless of what we want, it mutes at will, changes to different modes, tries to get analogue tv when it is not available, refuses to connect to teletext, the list goes on. It uses subtiltles when not requested and also voiceovers. The 3d element is good, but does not overcome the other problems. comes with only 1 control? Great TV, great picture, just GREAT! Better than my Samsung Smart TV which I bought last year for over �400! Can't complain as I got this TV at a steal for �112 as it was reduced to clear! Happy Customer!! V good just wish tv was better. Decent TV. looks good. Nice PIC strait out of box. With little tweaking .to suit taste .get a very good PIC. Can't ) complain at price of �399.99p. So sorry, after some setting changes the viewing angles are much better, then must add one star. Im a new owner, just a little bit dissapointed. My Tv has probably VA panel, since black is good, just viewing angles are bad. There is only small area directly in the front of the screen, where the picture is perfect. When moved about 80cm any direction the colors and contrast is noticeably affected, its like fog over all screen. It begins from the corners, when moved by a 30cm, especialy in dark scenes. It means 2 or more people watching at the same time can not see the same picture. When compared with Samsung 5 years old VA Tv, samsung is 50% better in this regard, also text is better on Sam. Except of this the picture is fine. Truly stunning picture George! Thank you so much for the calibration settings. Lovely TV by the way. well I've had quite a few tv,s in my time and I must say for the price it's a nice looking TV set I give it five stars thank you. Only had it a week. Model KDLW428b Picture is a problem. In vivid its too white on some scenes. Natural is too dark. Not as good in my opinion to the Samsung. I've always had Sony and this one is disappointing.Anyone out there that has any ideas on how to improve picture please?